The Polypharmacy Patient Information Group launched the “Ask About Your Medicines” campaign in the New Victoria Hospital Patient Information Centre in April 2016. 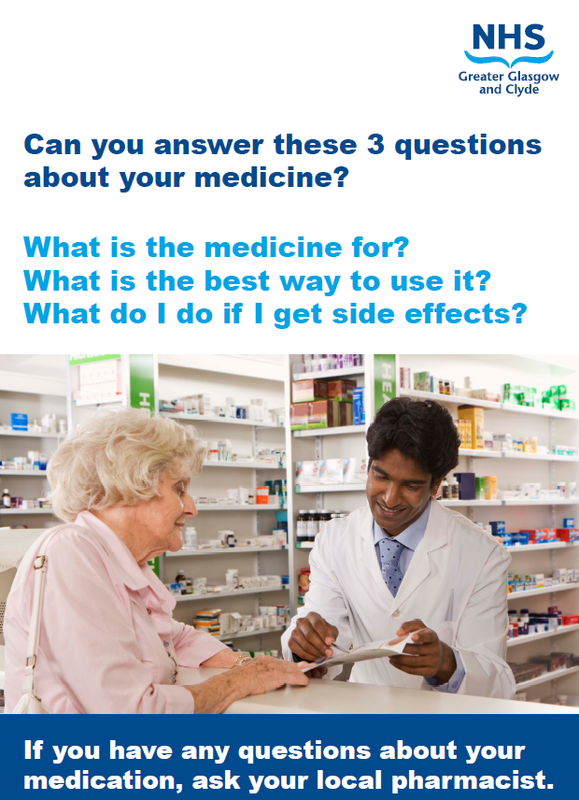 The aim is to encourage patients to know about and understand their medicines, and to ask their local pharmacist, doctor or nurse if they have any questions regarding their medicines. What to do if side effects are experienced?